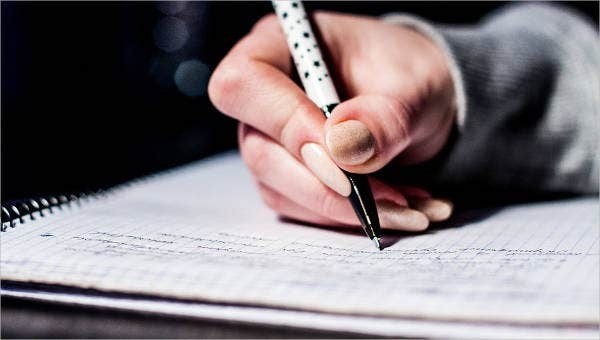 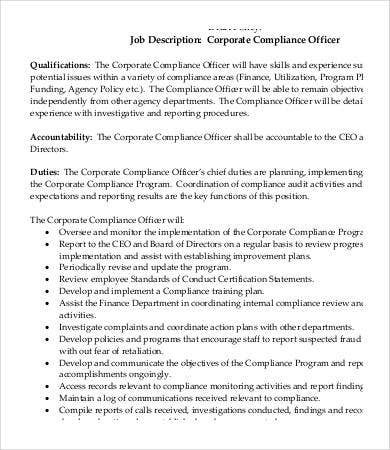 A compliance officer is the employee of the company that recommends all the items and processes that are needed to be considered by a business regarding regulatory compliance. 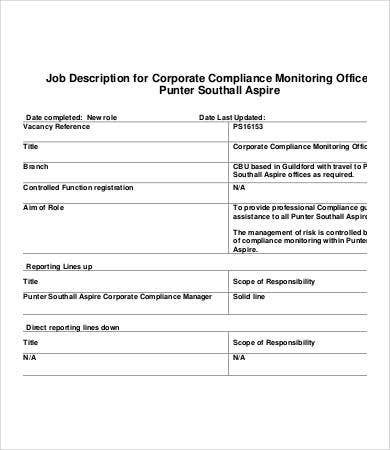 Compliance officers have the right to talk and discuss with the higher management so that they will be aware of the documents that they need to submit to different entities and the work processes that are subject for inspection and other steps for compliance. 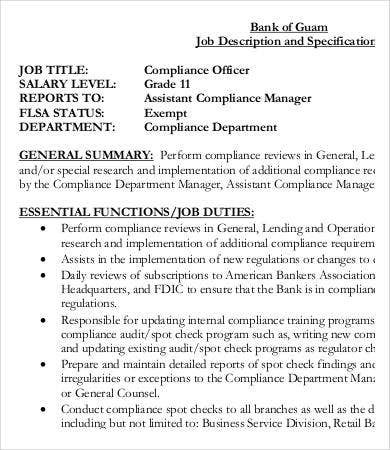 A compliance officer may work in different fields, especially those in which his or her service is mostly needed to continue the smooth flow of business operations. 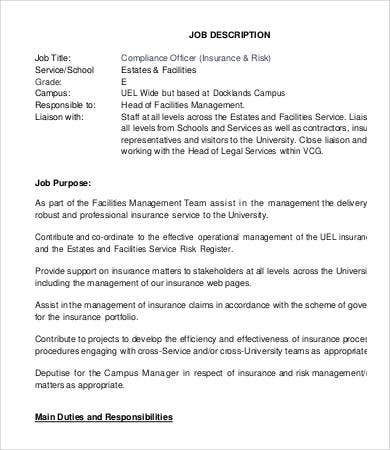 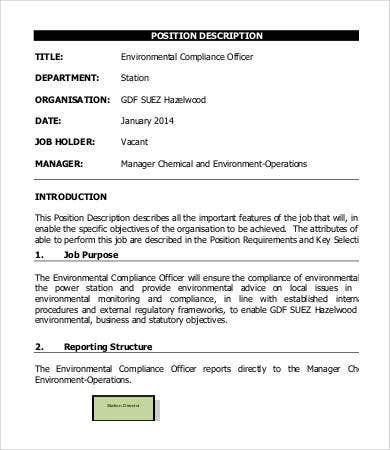 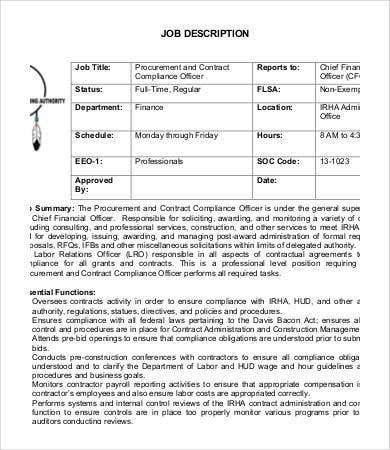 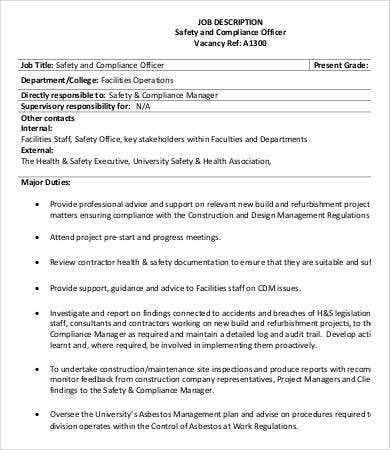 Other than our job descriptions of a compliance officer post, we also have a Job Description Templates which may be used for different work functions. 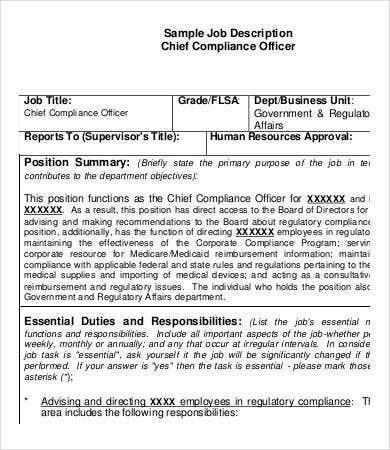 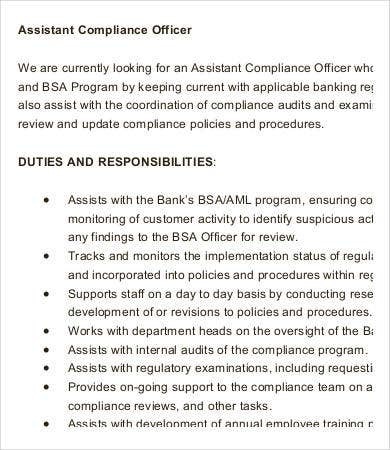 Other than our compliance officer job description templates, you may also download our Chief Operating Officer Job Description and Chief Executive Officer Job Description to know more about the specific jobs listed in the link provided.